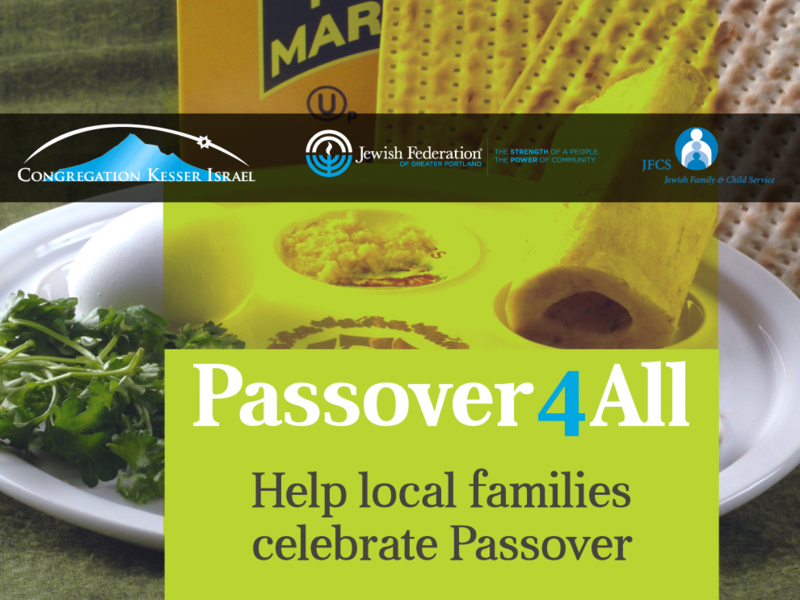 This year the Jewish Federation of Greater Portland, together with Congregation Kesser Israel and Jewish Family & Child Service asked you to help us provide Passover food boxes to needy families in our area so all are able to celebrate Passover. Over 90 people responded raising over $6,600 in 10 days! Thank you to everyone who participated in our 10-day Passover4All campaign effort. We exceeded our $5,000 goal so over 120 Jewish families in the Greater Portland area will have food for Passover. On behalf of the Jewish Federation of Greater Portland, Congregation Kesser Israel, and Jewish Family and Child Service – thank you again! When we come together, we strengthen our Jewish identity and community while helping others!